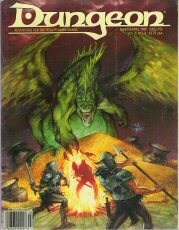 ADVENTURES: Dark Tower of Cabilar; Assault on Eddistone Point; Grakhirt's Lair; The Elven Home; Into the Fire; Guardians of the Tomb. 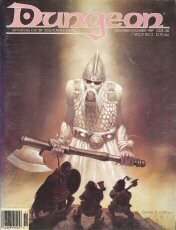 ADVENTURES: The Titan's Dream (ADD 5-9); In the Dwarven King's Court (ADD 3-5); Caermor (ADD 2-4); The Keep at Koralgesh (DD 1-3). 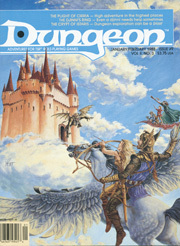 ADVENTURES: Falcon's Peak (ADD 1-3); Blood on the Snow (ADD 3-7); The Deadly Sea (ADD 4-7); The Book With No End (ADD 8-12). 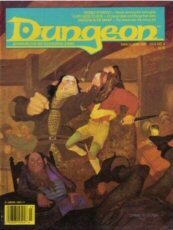 ADVENTURES: Kingdom in the Swamp (ADD 6-9); Escape from the Tower of Midnight (ADD 2-4); Fluffy Goes to Heck (ADD 3-5); Trouble at Grog's (ADD 1). 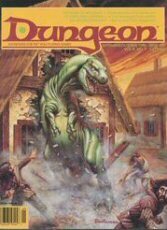 ADVENTURES: The Rotting Willow: AD&D Levels 7-9; Lady of the Lake: AD&D Level 1; The Stolen Power: AD&D Levels 1-3; The Kappa of Pachee Bridge: AD&D-OA Levels 2-5; The Trouble with Mylvin Wimbly: D&D 1-3; The Eyes of Evil: ADD 10+; Hirward's Task: ADD 4-7. 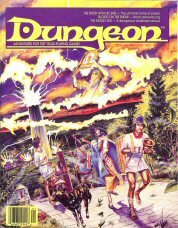 ADVENTURES: After the Storm (ADD 8-10); White Death (ADD 4-7); Bristanam's Cairn (ADD 8-12); House of the Brothers (ADD 6-10); Forbidden Mountain (ADD 4-7); Tortles of the Purple Sage (DD 4-10). 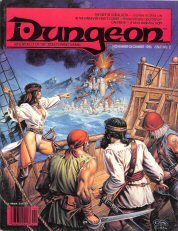 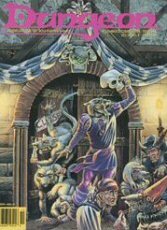 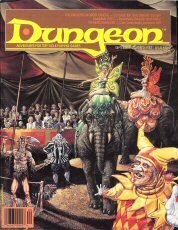 ADVENTURES: NIGHTSHADE [AD&D levels 1-3]; TORTLES OF THE PURPLE SAGE [D&D levels 4-10]; THE MATCHMAKERS [AD&D levels 1-3]; SAMURAI STEEL [AD&D Oriental Adventures levels 3-5]; THE JINGLING MORDO CIRCUS [AD&D levels 10+]. 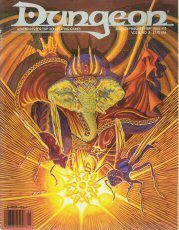 ADVENTURES: * Lurkers in the Library (ADD 1-3) * Crypt of Istaris (ADD 3-5) * Djinni's Ring (DD 3-Solo) * Golden Bowl of Ashu (ADD-OA 2-4) * Ghostship Gambit (DD 3-6) * Plight of Cirria (ADD 8-12). 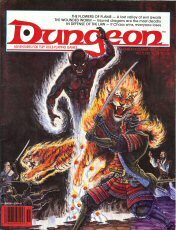 ADVENTURES: THE SHRINE OF ILSIDAHUR [AD&D levels 3-6]; THE ARTISAN'S TOMB [AD&D/Oriental Adventures 3-5]; THEY ALSO SERVE [AD&D levels 5-7]; MONSTERQUEST [AD&D levels 1-3]; SECRETS OF THE TOWERS [AD&D levels 1+]; THRESHOLD OF EVIL [AD&D levels 14-18]. 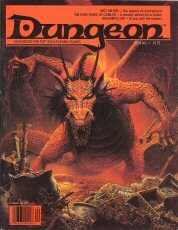 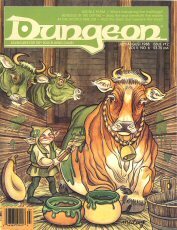 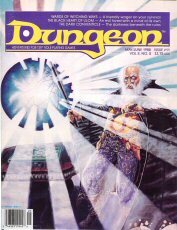 ADVENTURES: THE DARK CONVENTICLE [AD&D levels 8-12]; THE WOODEN MOUSE [AD&D levels 5-8]; THE BLACK HEART OF ULOM [AD&D levels 5-8]; WARDS OF WITCHING WAYS [AD&D levels 3-5]. 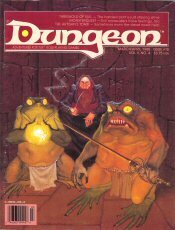 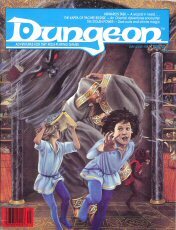 ADVENTURES: LIGHT OF LOST SOULS [AD&D levels 2-4]; SCEPTER OF THE UNDERWORLD [AD&D 12th level solo]; AT THE SPOTTLE PARLOR [D&D levels 1-3]; INTRIGUE IN THE DEPTHS [AD&D levels 4-7]; HUDDLE FARM [AD&D levels 1-4]; INDEX TO DUNGEON ISSUES 1-12. 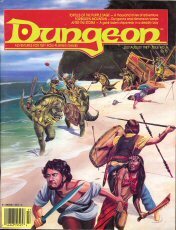 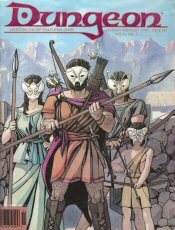 ADVENTURES: PALACE IN THE SKY [ADD 7-10]; DWARVES OF WARKA [ADD 3-6]; NECROPOLIS (by Nigel Findley) [ADD 2-4]; VESICANT [ADD 4-6].